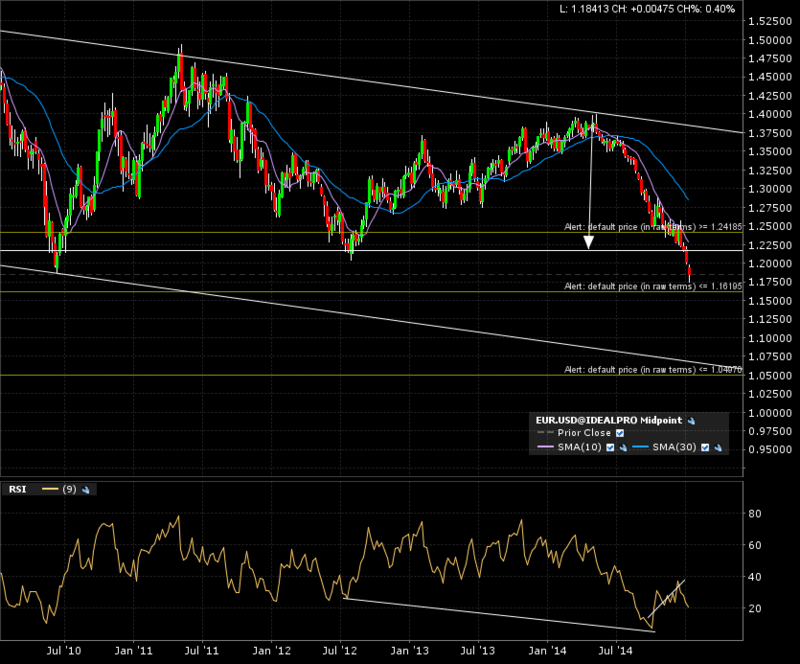 Using eurusd to demonstrate “Top to bottom” approach. I use the “macro to micro” or a “top to bottom” approach while doing my analysis of a specific instrument. This makes me understand or take notice of the more prevailing trend going on. If the monthly, weekly, and daily charts breakout in the same direction, I believe probabilities will be higher that my target will be achieved. I give more weight or value to a multi year monthly candle chart breakout than a daily. As the proverb goes… “The bigger the base, the higher in space”. Bonus value to using a monthly candle close are its “noise reduction” properties to help avoid whipsaws. 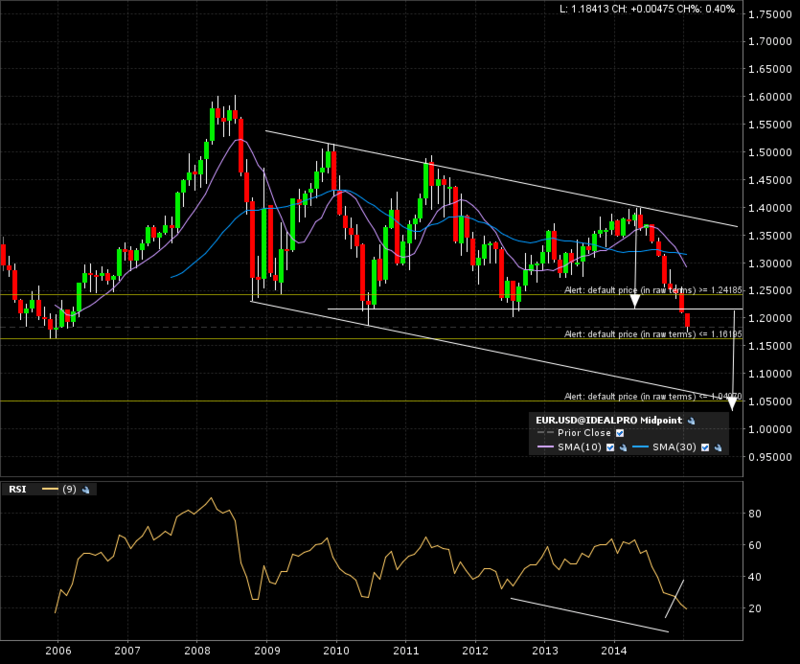 Breakdown in progress on monthly chart for eurusd. 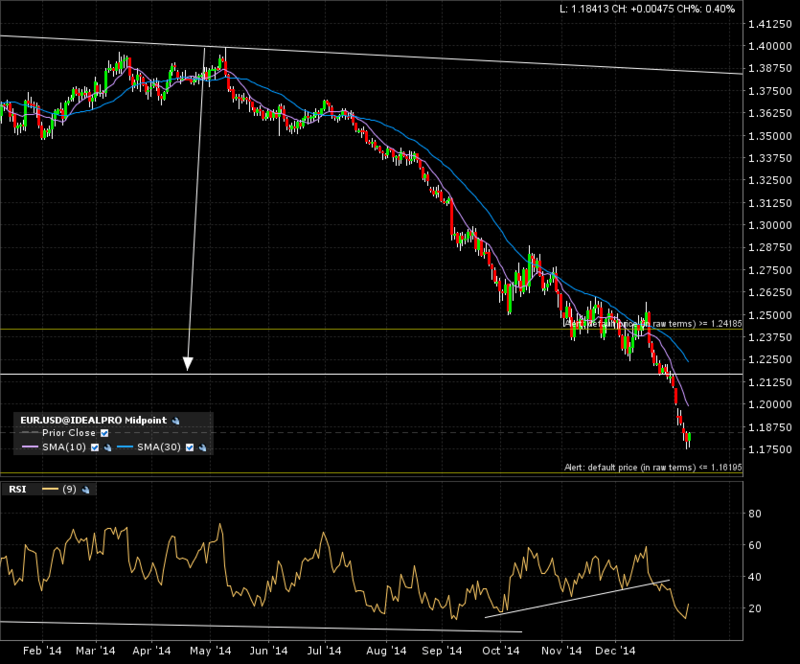 Next step is determining entry and exits and used to determine risk to reward ratios (covered in next blog entry).